The Board of Directors of the Canadian Geotechnical Society produces an annual report for the information of the members and other interested individuals and organizations. The report contains a list of the Board of Directors, the list of Awards and Honours recipients, summary reports from the members of the Executive Committee as well as individual Section, Division and Committee reports. The Society's annual reports cover the period from, for example, July 1, 2014 to June 30, 2015. This annual report would be referred to as the 2015 Annual Report. The Board of Directors also produces an annual audited financial statement. Because of the Society's fiscal year (the calendar year), the audited financial statements lag the annual reports by one year. For example the 2015 Annual Report includes the 2014 Audited Financial Statement. 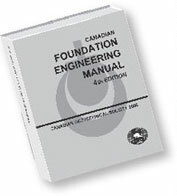 The Society also completes an annual performance review questionnaire each year for the National Research Council, in support of Canada's affiliation with the International Society for Soil Mechanics and Geotechnical Engineering (ISSMGE).